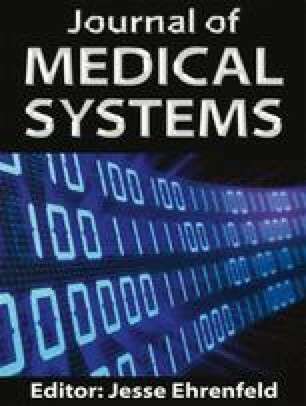 The aim of this study is to increase hand sanitizer usage among healthcare workers by developing and implementing a low-cost intervention using RFID and wireless mesh networks to provide real-time alarms for increasing hand hygiene compliance during opportune moments in an open layout Intensive Care Unit (ICU). A wireless, RFID based system was developed and implemented in the ICU. The ICU beds were divded into an intervention arm (n = 10) and a control arm (n = 14). Passive RFID tags were issued to the doctors, nurses and support staff of the ICU. Long range RFID readers were positioned strategically. Sensors were placed beneath the hand sanitizers to record sanitizer usage. The system would alert the HCWs by flashing a light if an opportune moment for hand sanitization was detected. A significant increase in hand sanitizer use was noted in the intervention arm. Usage was highest during the early part of the workday and decreased as the day progressed. Hand wash events per person hour was highest among the ancilliary staff followed by the doctors and nurses. Real-time feedback has potential to increase hand hygiene compliance among HCWs. The system demonstrates the possibility of automating compliance monitoring in an ICU with an open layout. Research reported in this publication was supported by the National Institutes of Health (NIH) Research Training Grant # R25 TW009343 funded by the Fogarty International Center, Office of Behavioral and Social Sciences Research as well as the University of California Global Health Institute, USA. The content is solely the responsibility of the authors and does not necessarily represent the official views of the National Institutes of Health or the University of California Global Health Institute. The authors would like to acknowledge all the staff of the ICU at St. John’s for volunteering to participate in this study. The authors would also like to thank Dr. Savitha Nagaraj who is part of the infection control committee of the hospital for her valuable inputs in the study design. WHO. The burden of health care-associated infection worldwide [cited 2013; Available from: http://www.who.int/gpsc/country_work/burden_hcai/en/. D. S. The direct medical costs of healthcare-associated infections in U.S. hospitals and the benefits of prevention 2009; Available from: http://www.cdc.gov/hai/pdfs/hai/scott_costpaper.pdf. Alliance, Z. ZigBee Standards. [cited 2014 30-09-2014]; Available from: http://www.zigbee.org/About/AboutTechnology/Standards.aspx. World, P. Definition of: wireless mesh network. 2014 [cited 2014 30/09/2014]; Available from: http://www.pcmag.com/encyclopedia/term/54776/wireless-mesh-network.